On the 19th of June this year, Michael and I were on the last mile of an eight-mile trek around our home Caise Chiuin in rural County Sligo, close to Yeats’ favored spot Lough Gill. In this majestic setting, Michael’s great heart offered its last beat. In the days and weeks since that evening, there has been an outpouring of love and grief for Michael that befits his immense stature and anambuacach. Michael would have smiled, a little taken back at a tri-lingual send off over five counties and a small village in France. Michael’s beloveds found great solace and healing in the genuine appreciations. Whilst tributes came from some of the country’s finest singers, musicians, and poets, many others came from people who had simply experienced Michael’s kindness, generosity and boundless enthusiasm for the quirky side of life. When Hilary and John Wakeman asked me to write about the love expressed throughout the different services for Michael, I was relieved to have an outlet for the enormity of the experience. Spirituality was central to Michael’s way of life and it is no mystery that he passed on with such grace. Michael was waked in the meditative calm of our little monastic stone Riverstown home, his spirit filling the room for distraught family and close friends present. A young local priest, Father Derek Gormley, volunteered to cel­ebrate Mass. It was a beautiful, intimate country mass during which sean nós singer Pádraigín Ní Uallacháin’s Caoineadh Na Trí Muire provided a much-needed balm. Liam Ó Muirthile warmed us with a spontaneous and buoyant insight into Michael’s recent journey in life. Michael had been searching for a renewal of the spark that had catapulted him into poetry in the 1960’s and 70’s West Kerry Gaeltacht. To his pleasant surprise, he had found it in the rural Gascon region of the South West of France where we had been living for two years before returning to Sligo. Múscraí Uí Fhloinn na Fraince, An Ghascóin, as Michael called it. Parish priest Fr O Shea spoke earnestly about the impact the ‘thoughtful, witty, tall Corkman’ had made on him when he arrived at the church door the night before to enquire after Mass times. This was to be the continuing nature of tributes. Those who had been touched by Michael’s large presence were left with the impression of a man who had reached deep into himself to match calamity with serenity. We traveled with Michael down the West into the city of his childhood and youth, Cork, the red and white bunting hinting at the early buzz of the hurling sea­son. Within earshot of the Shandon Bells, a solemn and consoling Seán Ó Riada Mass was led by Canon Leader in St Patrick’s Church. 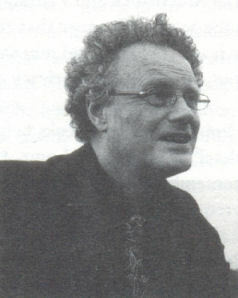 The performances of Seán Ó Sé, Tomás Ó Canainn, and Sean Dunne were further enriched by personal tributes sung, played and spoken. Iarla Ó Lionáird told me that Michael had been instrumental in encouraging him as a young singer and expressed his gratitude in Peadar Ó Riada’s Gaelic version of Psalm 78, Maoifead Thú a Thiarna. Michael’s daughter Sibéal wanted nothing more than for her father to hear her own fledgling gift on the flute and with her friends offered him a heart-rending Caoineadh na Trí Muire. Michael’s son Joe courageously walked into his father’s shoes that afternoon, bearing an uncanny resemblance to him as he recited An Scathán, Michael’s poem written in the wake of the passing on of his own father. Liam Ó Muirthile mirrored the affirming sentiments he had shared with us in Sligo and read Michael’s last poem Déirc, a perfectly balanced evocation of the complete circle of giving and receiving in life. Pádraigín Ní Uallacháin’s Ulster voice again consoled the somber gathering with her new lament Céad Slán a Ghrá. Our journey continued up East to Dublin for the crematorium service, held, poignantly on St John’s Eve or Bonfire Day. Oh, such a handsome gathering of family and dear friends from poetry, music, art, television and beyond! Friends whom Michael had walked with down the years, as he passionately championed our cultural heritage and the language of the heart. Tony Mac Mahon reached deep into his center to find the long, raw notes of 0 Carolan’s mournful elegy Farewell to Music. An indescribable loss was eloquently expressed by fellow poets Gabriel Rosenstock and Pádraig Ó Snodaigh. Father Caoimhín Ó Laide left us with the gentle resonance that exists between passing into the next world and this the feast day of fire and renewal. And the playing of Bob Dylan’s Every Grain of Sand afforded us the privacy of our own rawness. We gathered our breath for a few weeks before the month’s mind in the dappled light of Michael’s Cork family home. Canon Donal Linehan, Michael’s DCC chaplain, remembered him as a young man searching to honor his poetic gift, a task requiring courage and solitude. Michael had been blessed in recent years to be able to follow his heart and write fulltime. A few days later, Father John 0 Brien honored Michael’s valued presence in the St Fergal’s community of Bray with a joyful tribute mass. The church published a postcard with a bilingual version of Michael’s poem Every Desolate Jesus. The poem was inspired by the stunning, pained bronze crucifix figure hanging over Saint Fergal’s altar and describes Michael’s affinity with Christ’s humanity. And then the journey back west to Corca Dhuibhne to scatter Michael’s ashes on Casadh na Graige, where he had requested he be laid to peace. With Ceann Sibéal to our North and the Blaskets to the South, Michael had arrived at the turning point home. Macdara Mac Conghaille stilled us with his mediaeval marriage of the words and music of Port na bPúcaí, a tune that had come from one of the islands beyond us. The ceremony was facilitated by Monsignor Pádraig Ó Fiannachta, a kindred spirit of Michael’s who has inherited both the lightness and earthedness of his Gaeltacht ancestors. The Gaeltacht gathering of friends reaching back forty and more years laughed knowingly at Pádraig’s first memory of Michael arriving at his door searching for a goat! They later regaled us with their own memories of Michael’s youthful falling in love with the Gaeltacht and its people. Eilín Ní Chearna closed the ceremony appropriately with An Seabhac’s Bheir mo Dhuthracht. The perfect setting. I have just returned from the French village Lahas, where Michael and I had lived in an old cafe-boulangerie, shaded by an immaculately restored church. Uderico, our Italian tenor friend organized a mass with his formidable choir. At seven a.m., the church bells rang out for Michael over the beautiful rolling Gascon landscape, echoing up into the peaks of the Pyrenees. A handsome gathering of our rural French community and English speaking friends came to say good-bye. It had been a long wait for them. Young singer Bethany Blackham performed her composition for Michael asking what she was going to do without him. She wasn’t alone in this sentiment. Michael’s most unlikely of close friends, charming English aristocrat Robin Jenkinson shared that he had never been moved by anyone’s death until this loss. Maurice Roux, Gascony’s celebrated photographer of traditional rural life broke down as he spoke of how he had lost a true brother, a man of richness and integrity. Oh Michael, our humble giant, we have come full circle in these last seven weeks from Baile Idir Dhá Amhain to Lahas. Céad Slán a Ghrá.